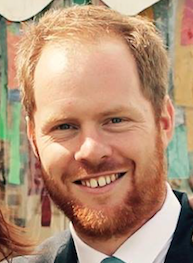 Harry started working as a chiropractor in Ringwood, where he has lived all his life, in 2008. Since then he has helped families, sports people and senior citizens stay pain free and feel better. After completing his A-levels at Ringwood School in 2004, Harry completed a four year masters degree in chiropractic at the Anglo-European College of Chiropractic (AECC) in Bournemouth. During his time at the college Harry has had experience in treating a wide range of problems with great success. He now also enjoys teaching final year students at the AECC, using his experience to help guide new chiropractors in the treatments they provide. Harry believes very strongly that postural balance and equilibrium is vital to an individual staying pain free and considers all aspects of the musculoskeletal system in patients with back pain. By assessing the entire body for imbalances and dysfunction, Harry is able to establish the root causes of a patient’s pain. Harry has a great interest in being active including working with horses, riding, walking and playing football.